Christianity is the biggest religion in the world now, and it has changed Ancient Rome. This is a book explaining what Christians believe, how they practice their beliefs, why an emperor use the religion to rule the country, how it spread, and how it changed Rome. I thought to learn how to pray with the incense was a really interesting experience because I always knew that Buddhists use incense to pray, but I never knew how to pray with the incense. My group mate also told me that the incense indicates the length of your life, so if you break 1/4 of it, you live up to about 80 years, and if you break 1/2 of it, then you live up to about 40 years. That’s what the Buddhists believe. I also thought the praying wheel was pretty interesting, if you spin the wheel while praying, your wish would come true. It was interesting to know that you aren’t allowed to step on the doorways. When I stepped on it the guard had to push me off of the doorway. I learned that some had mythical creatures that represented different things like if you are mean to people you could turn into one of them. I think I learned a lot from yesterday, including overcoming my fears. Diving was one of the things that I thought I would never be able to do, since I was very scared of it. However, yesterday I learned how to dive properly, and even do a flip off the spring board. I think overcoming my fears was the main point from that day. My Thing Link was about why the lives were so hard for the boys in Sparta. I had to record some audios and videos to show the interview of me being in Ancient Greece. This is my hero’s journey. 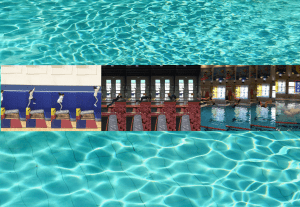 We basically have to write about our main character’s journey to save someone or the world, and writing how their life is in the special world. 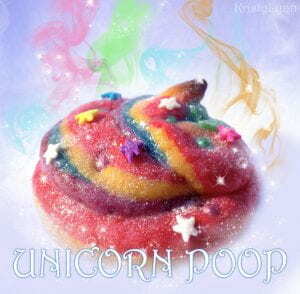 I am very excited to post on my own blog, so I chose to post an image of an unicorn poop. Unicorn poop are usually very rainbowish and colorful interesting color, and that’s how I feel about having to post on my own blog :))))))))). After when Mark and his family moved to New Hampshire from new York, at his new school, which is Hardy Elementary school, 5th grade is going on a trip to the woods and the mountains for 1 week. And that program is called, “A Week In The Woods”. When 5th grade arrived to their own cabins, Mark noticed that Jason, Mark’s friend, was in the same cabin as his. During the 30 minutes break, Jason borrowed his knife to Mark, and it was a problem because on the packing list, it said not to bring any knives. But then, Mr. Maxwell saw the knife and Mark was told to go back home. Mr. Maxwell was being kind of mean to him because Mark was being rude to him and saying, “Does everyone has to go?” Then Mr. Maxwell was mad at him. So Mark ran away, and he got lost. It was lucky that he had some Snickers and Energy Bars, water, compass, and a flashlight. Meanwhile, Mr. Maxwell was looking for Mark everywhere, and also, he had found out that the knife wasn’t even Mark’s. At midnight, they both found each other and Mr. Maxwell had his ankle broken and he couldn’t even talk good. After that, they went back to the campground and went to home. On Wednesday, in the cafeteria, Ms. Hiatt, the principal, was mad because of the silence in the 5th grade lunch. Everyone was shocked and a little bit scared. After that, Dave was told to go to the principal’s office, and Dave thought that he was in trouble. But he wasn’t in trouble. When Dave got into her office, he noticed that Ms. Hiatt was crying. Then, she said ” Will you forgive me? I think I was suppose to set good examples, but I was angry first.” Dave never thought that Ms. Hiatt will say something like this. But still, it is better than getting in trouble, Dave thought. The next day, Dave and Lynsey both counted their records, and they were tied.